Vastu Shastra is the science of directions that combines all the five elements of nature Namely Earth, Water, Air, Fire and Space . Amit Lamba also Offers Online Vastu Shastra Consultancy for Clients around India or around the world .A Vastu Expert Helps to balance them in order to Provide A Positive Environment for Health and Wealth and Success of the Persons Living or working in that Place . The Sanskrit word vastu means a house / office or Any piece of Land. The underlying meaning is to live, stay, abide. The term shastra may broadly be translated as a science or learning. The Science of Vastu Shastra can be used for Every Possible Property like Home, Office, Factory, Shop, Hospital, Restaurant, Cineman House, Hotels, Clubs etc every room, every house, every temple, town planning, cities Vastu can be used for micro as well as for macro level. Vastu is Very essential in Today's Competitive World. Vastushastra is an ancient building science of construction to construct any building, Home or Office and as well as Designing the Interiors. Vastushastra is based on various natural elements like Water, Fire, Air, Earth and Space. Vastu forms the basics of each construction and It's Advisable to follow Vastu from the Basic lever of Choosing a Plor or Property to Designing Every Room Kitchen Bedroom etc based on the Rules of vastu. A home or an Apartment is a collection of Rooms with Fixed Doors windows and Bathrooms. An Architect is a person whose job is to Design the house but Its is the Job of a Vastu Expert to Enhance the Energies of the house with the Knowledge of Vastu Shastra. Vastu Shastra helps us to make use of the 5 Elements of Nature and to exerts positive energy in our lives which will further help us to stay healthy and successful lives. Vastu Purusha is the mystical and spiritual lord of a land where he lies with his face down. The picture given above is a cosmic diagram of how Vastu purusha resides in every piece of land, House, Office or Factory, with his face down in the ground facing the North east. Head in the North East = Positive Thinking. Lower Body in the southwest = Stability. Navel in the Center = Awareness. Hands in the North west And south east = Movement and Energy. Pyramids are the considered as one of the most powerful remedies as per Vastu Shastra. The Pyramids were First Created thousands of years ago. But their amazing power and effect has continued to prevail due to the cosmic energies possessed by them. The word Pyramid is made up of the 2 words Pyro = Fire = Energy. Amid = Middle = Center. A pyramid is an object with sloping sides that conform towards the crest. Energized Vastu. A Pyramid emits positive energy. Pyramids help in the correction of vastu Defects thus Helps in neutralizes the negative energy caused within any premises due to incorrect Vastu. 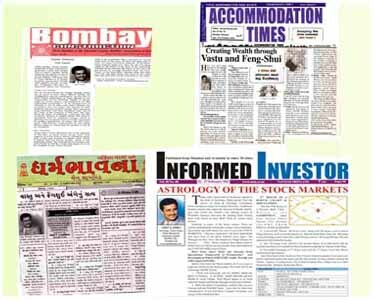 Amit Lamba Vastu Shastra Expert Based in Mumbai (Bombay) has over the past 18 years of Practice of Vastu Shastra has been a columnist for Various Magazines and Newspapers and has Authored more than a Thousand articles on the Topic of Vastu Shastra and Astro Numerology in Various Leading news Papers, Magazines in Mumbai. 1) Good health & Comfort - Ensure healthy, happy and positive vibes for yourself and your family Thus Providing Good Health to the Inhabitants. Proper Use of Vastu eliminates negative Vibes and enhancing positive energies around us. 2) Positive Relations - Proper Vastu In the House or Office Enhances relationship with other people and Among Family Members. 3) Wealth and Career Growth - Proper Use of Vastu in Home help you make a positive Change in your career, Helps to Achieve success without obstructions, By Placing Cash Locker in the Right Place as Per Vastu One Finds Financial Stability. Keeping the North-East portion Clean and open Helps in Financial Stability. Vastu considered the interplay of various forces of nature involving the five elements of earth, water, wind, fire and ether and strives to maintain equilibrium as these elements. Utilization of such energies gives us peace, and prosperity in our Lives. Vastu Shastra is a part of treasured Vedas and originates in the Yajur Veda under the section Stapatya Vidy. Also there is a mention of Vastu in the Ramayan that the entire city of Ayodhaya was designed by Manu a leading architect in those times based on the principles of VASTU SHASTRA. References of VASTU SHASTRA are found even the Buddhist literature where people were advised to consider Vastu in construction of Houses. The Chinese also follow Feng Shui for Construction or Designing a Home or office. Feng Shui is the study of qi / chi – energies in our environment, Feng Shui is very much similar to our Vastu Shastra. Also from the above it is very much clear that VASTU SHASTRA is universal. It is not confined to any particular group of people or religion and is beneficial in the development of all human being irrespective of any caste, creed or religion. Mr Amit Lamba - Vastu Expert offers Complete Vastu Shastra Consultancy Guidance and Remedies for Homes, Offices, Factories, Restaurants, Building projects etc in Mumbai, Pune Nasik and all Over INDIA. A Life of a Persons Depends on 2 Things One is KARMA and Second is VASTU. In any Place if the vastu is Not Good and the person is Hard Working and Karma is Good, then results obtained can be Medium BUT if the vastu of the Place is good and Hard Work and Karma is Little Less then the Bad Effects of Life can be Reduced by Good Vastu Enviroment. According to Vastu Sastra, the world comprises of five basic elements known as the pancha maha bhoota in Vastu . In the Entire Solar System our planet Earth has life because of the presence and balance of these five elements of Nature. 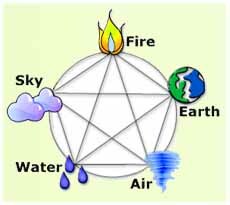 The five elements of Nature as per Vastu are as follows. earth, fire, water, sky and space. Vastu is a science of direction that combines the five elements of nature. Fire Element - Fire (Agni) is considered as a Third most important element in Vastu Shastra. Fire Represents light and heat these in turn account for day and night and the Various seasons, Fire also Represents energy. Fire or Agni is element of the south-east Section of the House. The Fire Element is also Present in the Human body in the form of our Digestive System. Water Element - Water is the second foremost element considered in Vastu Shastra. Water Element is present on earth in the form of ocean, sea and rivers. The Presence of Life on the Planet earth is only Possible with the Help of water. Water is an element of north-east Side of the Home. The Water Element is also Present in the Human body in the form of Blood. Air Element - Air (vayu) is a absolutely necessary all living things on earth. In Vastu air is another important element. Air consists of various gases on earth like oxygen, nitrogen, carbon dioxide etc. A balanced percentage of different gases in the atmosphere is very important for living beings on this earth. The AIR Element is also Present in the Human body in the form of our Breathing System. Earth Element - The foremost element of nature. The Planet Earth is a big magnet with North and South poles as centers of attractions. Planet Earth also has a magnetic field and strong gravitational force. Thus this earth Elements has a very Important effect on everything that is on Planet Earth. The Earth Element is also Present in the Human body in the form of Bones. Space or Space Element - The Sky or Space or Akasha Tatva provides shelter to all the above elements of nature. The Center of the House is accorded to Space Element. As per the Science of Vastu Shastra, there is an invisible and constant relation between all the five elements of Nature. Thus by Understanding them and applying the simple Rules of Vastu Shastra helps us improve our conditions. Vaastu Sastra combines all the five elements of nature and balances them with the person and the material. Avoid Dark Colors Like Dark Buue or Black. Avoid Thorny Plants at Home. Avoid Over Head Beams Especially above Bed. Avoid Clutter in the House, Especially Corners. Avoid Mirrors Opposite the Bed in the Bedroom. Avoid Temple in the Bedroom if Possible. Do Not Eat on the Bed of the Bedroom.